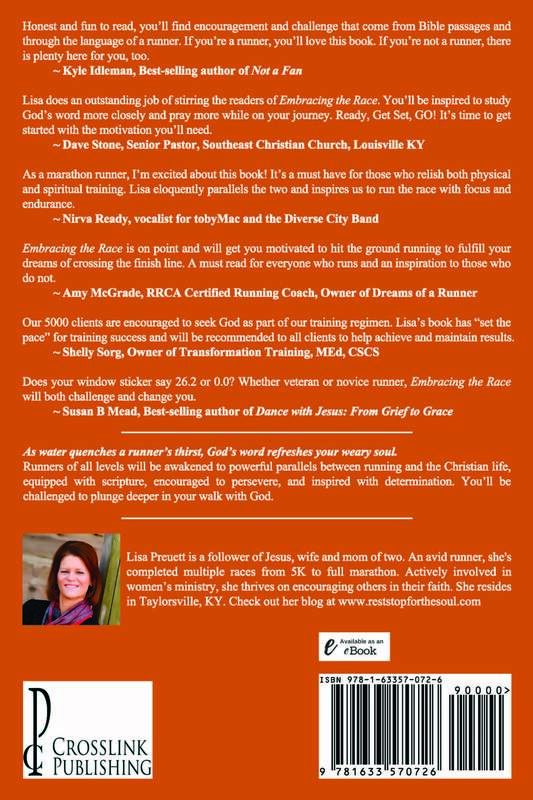 You will be awakened to powerful parallels between running and the Christian life, equipped with scripture, encouraged to persevere, and inspired with determination. You’ll be challenged to plunge deeper in your walk with God. 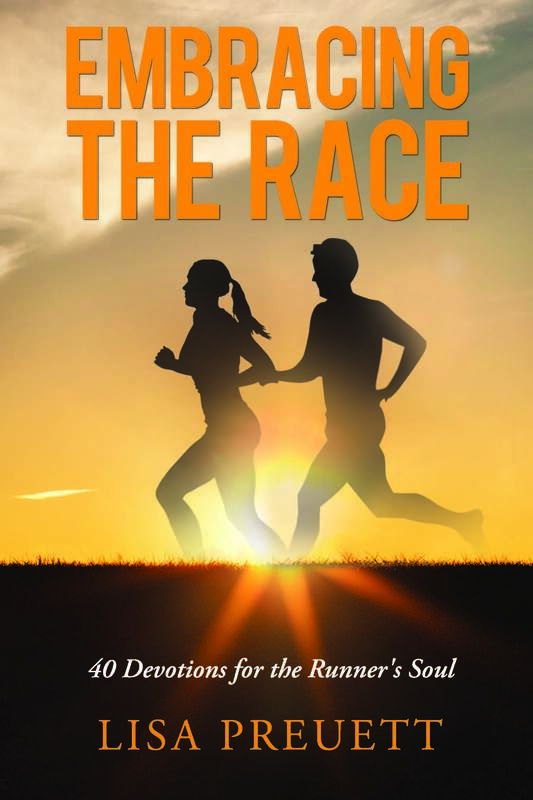 Runner or not, this book will encourage you in your faith! 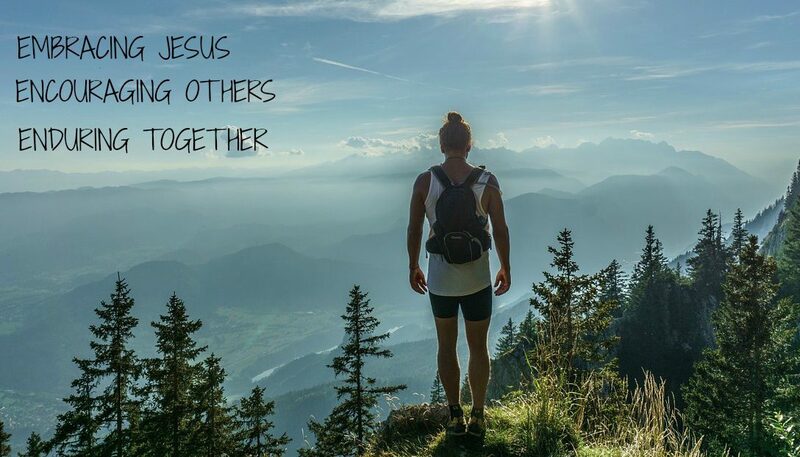 We are ALL running the race of LIFE. Currently has 71 FIVE-STAR reviews! 2.If you prefer to shop on Amazon, you can order the paperback version HERE. 4. If you prefer to shop at Barnes & Noble, you can order paperback and Nook versions HERE. 5. CrossLink Publisher sometimes has the book on sale! Check it out HERE. **Want to preview 10 devotions for FREE before deciding? Click the Amazon link above. If you’d like Lisa to come speak to your group, click HERE for the details! A portion of the proceeds from Embracing The Race will be donated to WaterStep, an organization in Louisville, Ky that provides clean water systems to communities in developing countries. Encouragement for the soul…Clean Water for the body! Lisa does an outstanding job of stirring the readers of Embracing The Race. You’ll be inspired to study God’s word more closely and pray more while on your journey. Ready, Get Set, GO! It’s time to get started with the motivation you’ll need. As a marathon runner, I’m excited about this book! It’s a must have for those who relish both physical and spiritual training. Lisa eloquently parallels the two and inspires us to run the race with focus and endurance. Embracing The Race is on point and will get you motivated to hit the ground running to fulfill your dreams of crossing the finish line. A must read for everyone who runs and an inspiration to those who do not. Our 5000 clients are encouraged to seek God as part of their training regimen. Lisa’s book has “set the pace” for training success and will be recommended to all clients to achieve and maintain results. Does your window sticker say 26.2 or 0.0? Whether veteran or novice runner, Embracing The Race will both challenge and change you. Here’s an article in the Southeast Christian Outlook Newspaper about Embracing The Race.